Our standard models can be modified to your requirements at extra cost. The deal wood that we use on the long sides is excellent quality but stairs, balcony, doors and shutters are better made of oak. Transport prices vary on destination and if the transport can be done in combination with other transports. Ask us for a quotation. Delivery time depends mainly on other orders but usually you can expect your new caravan in about 4 months. 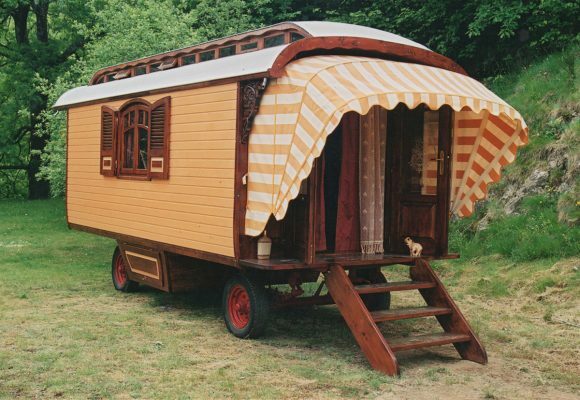 With tender loving care and modern stains a caravan can last a life time. 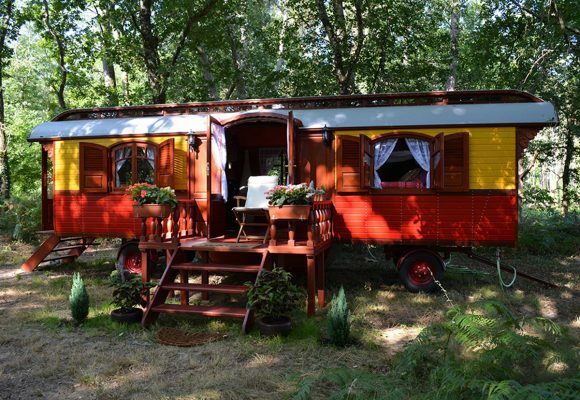 Here in the Ardeche we have 3 caravans that are 65+ years old. 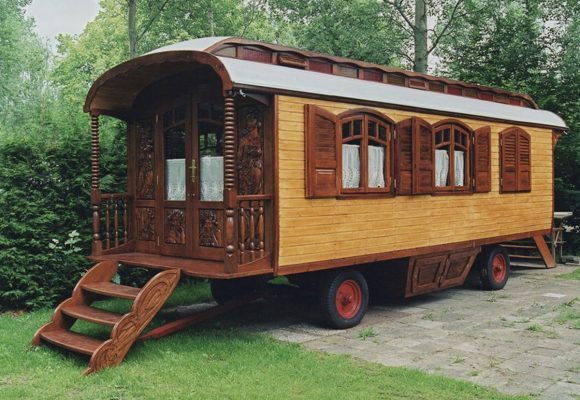 A gypsy caravan is like a Chesterfield couch. By using it it gains character and becomes more beautiful over the years. 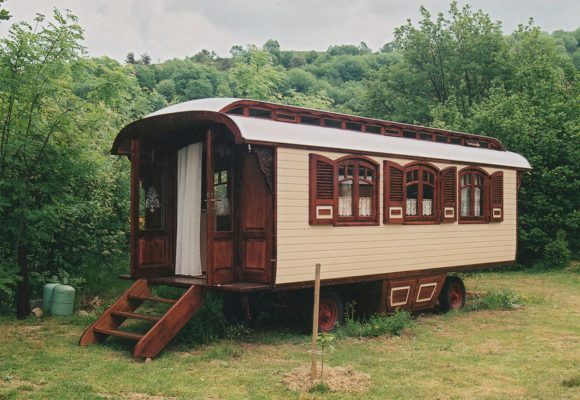 Thanks to their classic and charming appearance our caravans are on sites where modern caravans and mobile homes were not allowed. People that have to come from far to look at our caravans can have dinner with us and spend the night in a caravan. This costs 70 â‚¬ for 2 persons which you will get back when you actually buy one. 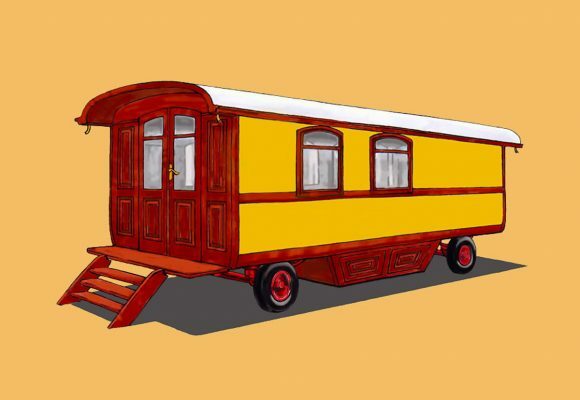 If you want a new caravan before the summer you better order now. Most of our clients order in springtime but then it is impossible for us to deliver to everyone before the summer. Specific wishes? Please, let us know, we are happy to help you.